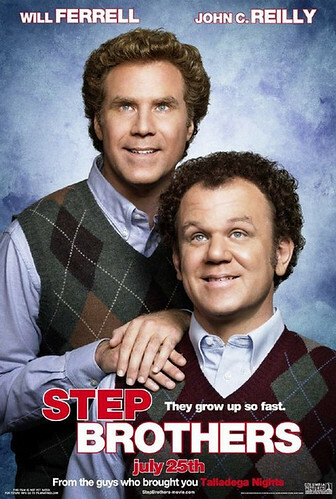 I no longer trust your Judgement either.Step brothers? Burn After reading? 6.5? Burn after reading was great. I doubt I'd get a laugh out of step brothers. Unless I smoked a ton. And it's not 1978 so I'm not doing that. Henceforth I'm putting a warning on all my movie reviews: "For therapeutic purposes only". And for the record, I was stone sober when I laughed at this movie, but I was in a pretty silly mood. We saw this one last summer and like you, I was very very surprised at how much I laughed. It's one of those movies you watch once and hopefully never speak of again. Yes, I laughed out loud - a lot - when I watched this movie with my 14 year old son. "Did we just become best friends? Yup." Uptight people would think this flcik is so low brow and undeserving. Anything that makes me really laugh gets my vote. "Your voice is like a combination of Fergie and Jesus." "This is a house of learned doctors." "I'd like some special sauce too." "It's the f***ing Catalina wine mixer!" This movie wasted an hour of my time; don't watch it. Life is too precious.